Today the Ad Council and Project Yellow Light announced the winners of the seventh annual Project Yellow Light scholarship competition. The contest calls on students to create a TV, radio or billboard PSA (Public Service Advertisement) to educate their peers about the dangers of using mobile devices behind the wheel of a vehicle. This year, CBS 2 New York has joined longstanding partners Clear Channel Outdoor Americas (CCOA), iHeartMedia, Mazda North American Operations, the National Organizations for Youth Safety (NOYS) and U-Haul. The winners will be unveiled today on a digital billboard in New York’s Times Square, in space donated by CCOA. The 2018 contest received more than 1,600 submissions from 49 states and Washington, DC. Winners were selected from two age categories: high school juniors and seniors, and college students. Project Yellow Light was established in 2007 by Julie Garner, who works at The Martin Agency, and her family in memory of her teenage son, Hunter, who was killed in a car crash. Grand prize scholarships of $5,000 were awarded to high school student Lia Senser (Louisville, NE) and college student Victoria Williams (Bristol, VA) and producing partner Sarah Ropple for their video submissions. The second-place scholarships of $2,000 were awarded to high school student Noah Anderson (Phoenix, AZ) and college student Katie Wilkerson (Savannah, GA) and producing partner Parker Parillo. The third-place video scholarships of $1,000 were awarded to high school student Andie Rugg (Longmont, CO) and college student Addison Reyes-Toney (Atlanta, GA). The billboard design prize of $2,000 each was awarded to high school student Alison Hendricks (Ocean City, NJ) and college team Kyle Pandiscio (Franklin, MA) and Emma Townsend (Shrewsbury, MA). Radio winners are high school student Sarah Pearce (Jonesboro, GA) and college student Virginia Stephens (Green Cove Springs, FL), who each received $2,000. 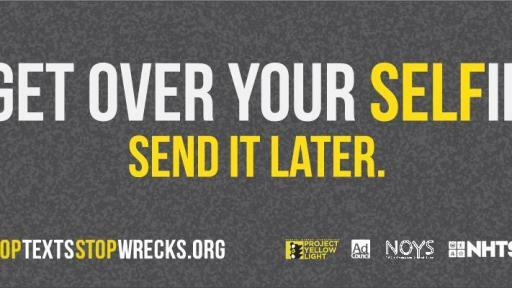 Since 2011, Project Yellow Light has partnered with the Ad Council to turn the winning submissions into PSAs that receive nationwide exposure through 1,600 TV stations, iHeartRadio channels, as well as over 1,000 Clear Channel Outdoor digital billboards. In 2016, 3,450 people were killed in motor vehicle crashes involving distracted drivers. 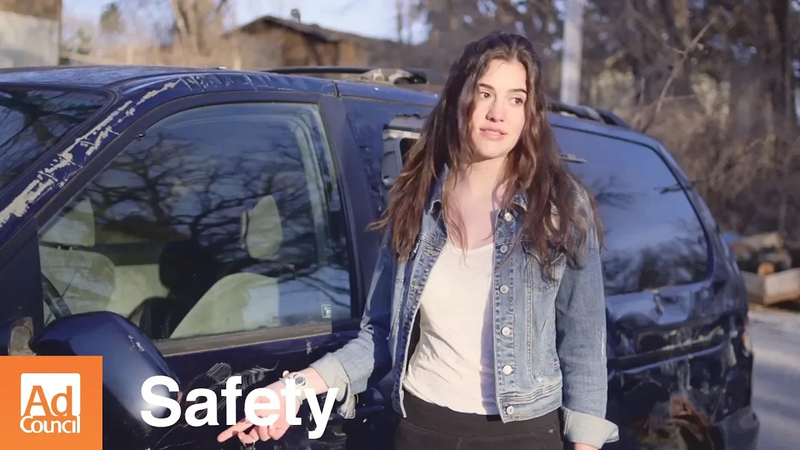 Teens are some of the worst offenders; nine percent of drivers 15 to 19 years old who were involved in fatal crashes were reported as being distracted at the time of the crash. All scholarships are provided by U-Haul, Mazda North American Operations and iHeartRadio. U-Haul will generously provide all six first-place finishers from all three contests with a moving expense gift valid for 12 months after receipt. A host of advertising industry executives and artists lend their time to judging submissions. This year’s panel included recording artist and songwriter Aloe Blacc; renowned filmmaker and social activist Kweku Mandela; DDB Worldwide CEO and Global President Wendy Clark; Co-Chairman and Partner of Goodby Silverstein & Partners, Jeff Goodby; NBA CMO Pam El, and representatives from The Martin Agency and Project Yellow Light partners CCOA, iHeartRadio, Mazda North American Operations, NOYS, U-Haul, and the Ad Council. 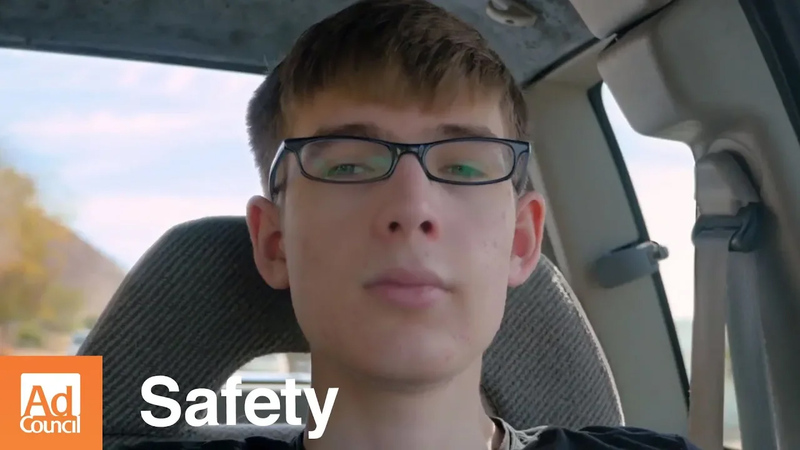 “Project Yellow Light is a unique campaign that gives young people the opportunity and creative freedom to bring public attention to the dangers of texting while driving -- an issue facing so many of their peers. 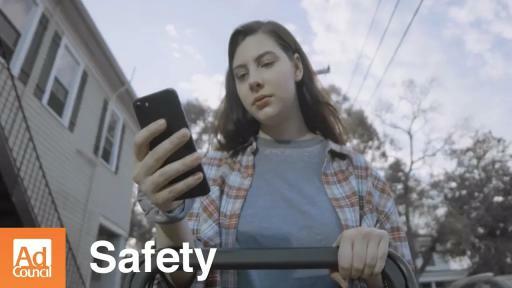 iHeartMedia is thrilled to air the two winning spots across our network of radio stations for the second year in an effort to help keep young radio listeners safe on the roads,” said Jessica King, Vice President of Marketing and Communications at iHeartMedia. “Project Yellow Light embodies a prevention through leadership model that gives students the opportunity to positively influence their peers around one of the biggest safety threats they face – car crashes. NOYS is proud to support Project Yellow Light,” said April Rai, NOYS CEO. Through the Stop the Texts. Stop the Wrecks. 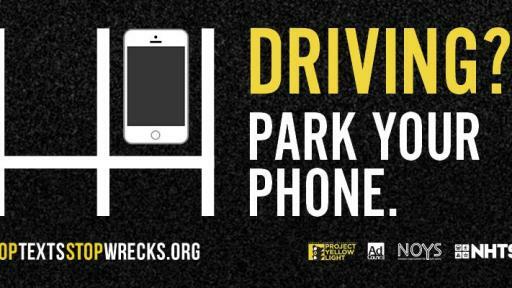 campaign, the Ad Council and NHTSA have been working together to prevent distracted driving since 2012. 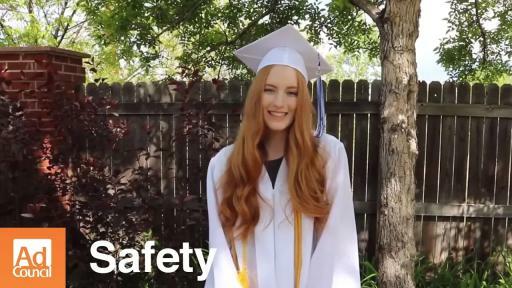 Project Yellow Light is a film, billboard and radio scholarship competition in which high school and college students create compelling stories persuading their peers to develop safe driving habits. This project gives students a voice and a role in preventing car crashes — the number one killer of teenagers and young adults in the U.S. Project Yellow Light was created by Julie, Lowell and Alex Garner in memory of their son/brother, Hunter, who died tragically in a car crash in 2007. Each year the winners receive the Hunter Garner Scholarship. The Ad Council is a nonprofit organization with a rich history of marshaling volunteer talent from the advertising and media industries to deliver crucial messages to the American public. Having produced literally thousands of PSA campaigns addressing the most pressing social issues of the day, the Ad Council has effected, and continues to effect, tremendous positive change by raising awareness, inspiring action and saving lives. To learn more about the Ad Council and its campaigns, visit AdCouncil.org, like us on Facebook, follow us on Twitter or view our PSAs on YouTube. WCBS-TV and WLNY-TV are part of CBS Television Stations group, a division of CBS Corporation and one of the largest network-owned station groups in the country. The combined strengths of CBS 2 and WLNY 10/55 provide a strong platform for serving the entire tri-state area. Clear Channel Outdoor Holdings, Inc.
With over a quarter of a billion monthly listeners in the U.S. and over 131 million social followers, iHeartMedia has the largest national reach of any radio or television outlet in America. As the leading media company in the U.S., iHeartMedia serves over 150 local markets through 849 owned radio stations, and the company’s radio stations and content can be heard on AM/FM, on satellite, at iHeartRadio.com, on the company’s station websites and on iHeartRadio, iHeartMedia’s digital music, podcast, on demand and live streaming radio service, available on over 250 platforms and 2,000 devices, including on digital auto dashes, tablets, wearables and smartphones, on virtual assistants, smart speakers, TVs and gaming consoles. iHeartRadio offers users the country’s top live radio stations, personalized custom artist stations created by just one song or seed artist, on demand features and the top podcasts and personalities. The all-in-one digital service has more than 1.7 billion downloads, 110 million registered users and is the No. 1 commercial radio podcaster in the U.S.
iHeartMedia’s platforms include radio broadcasting, online, mobile, digital, social, podcasts, personalities and influencers, live concerts and events, syndication, music research services and independent media representation. iHeartMedia is a division of iHeartMedia, Inc. (PINK: IHRTQ). Visit iHeartMedia.com for more company information. Mazda North American Operations is headquartered in Irvine, California, and oversees the sales, marketing, parts and customer service support of Mazda vehicles in the United States and Mexico through nearly 700 dealers. Operations in Mexico are managed by Mazda Motor de Mexico in Mexico City. For more information on Mazda vehicles, including photography and B-roll, please visit the online Mazda media center at InsideMazda.MazdaUSA.com/Newsroom. Follow MNAO’s social media channels through Twitter and Instagram at @MazdaUSA and Facebook at Facebook.com/MazdaUSA. NOYS was originally founded in 1995 as the Traffic Safety Collaboration supported by funding from government agencies, including the Department of Transportation. In 2005, NOYS became a 501(c)(3) organization and incorporated as National Organizations for Youth Safety. With over 100 organizational members - youth-serving nonprofits, businesses and government agencies, NOYS works collectively to address the most prevalent causes of injury and death among teens and young adults in the US. Learn more at www.NOYS.org. 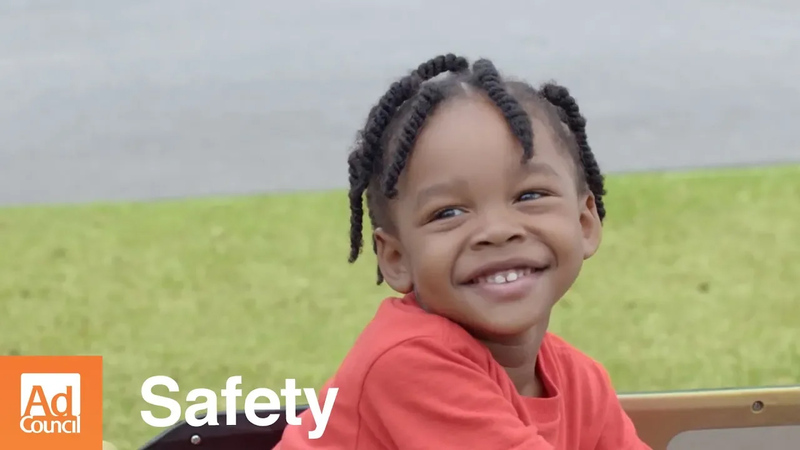 For more than four decades, the National Highway Traffic Safety Administration (NHTSA) has served as the key federal agency charged with improving safety on our nation’s roadways. As part of the U.S. Department of Transportation, NHTSA is working to reduce traffic-related deaths and injuries by promoting the use of safety belts and child safety seats; helping states and local communities address the threat of distracted, drunk and drug-impaired drivers; regulating safety standards and investigating safety defects in motor vehicles; establishing and enforcing fuel economy standards; conducting research on driver behavior and traffic safety; and providing consumer information on issues ranging from child passenger safety to impaired driving. 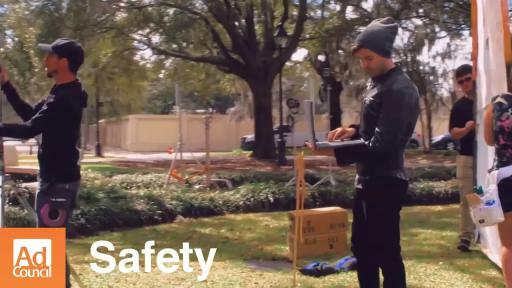 For more information visit www.nhtsa.gov. Since 1945, U-Haul has been the No. 1 choice of do-it-yourself movers, with a network of more than 21,000 locations across all 50 states and 10 Canadian provinces. U-Haul Truck Share 24/7 now offers customers access to U-Haul trucks every hour of every day through the self-service options on their internet-connected mobile devices. U-Haul customers’ patronage has enabled the U-Haul fleet to grow to more than 150,000 trucks, 112,000 trailers and 40,000 towing devices. U-Haul offers more than 581,000 rooms and more than 51 million square feet of self-storage space at owned and managed facilities throughout North America. U-Haul is the largest installer of permanent trailer hitches in the automotive aftermarket industry and is the largest retailer of propane in the U.S.